Located on KwaZulu-Natal’s North Coast, between the Ohlanga and uMdloti estuaries, Sibaya Coastal Precinct consists of around 1 000 hectares of spectacular coastal landscape. Flanked by pristine beaches and featuring remarkable forests, the existing Sibaya Casino and Entertainment World sits centrally within the site. On completion, the development will encompass seven nodes, each with its own character. 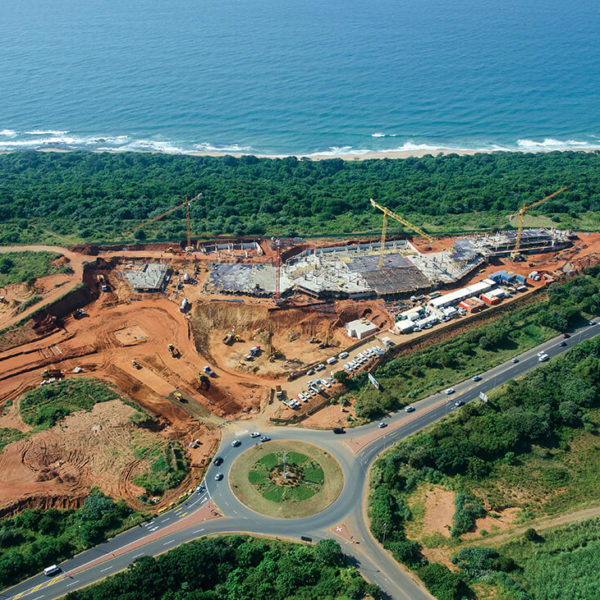 All nodes will be inspired by common development and architectural language that resonates with the principles of sustainability and the aesthetic vision upon which Sibaya Coastal Precinct is premised. The seven nodes are integrated into a single destination via a green boulevard and an extensive open space network, which also gives access to a breath-taking stretch of coastline. All body corporates and individual homeowners’ associations will belong to the Sibaya Precinct Master Management Association (SMA), which is responsible for participation in the Sibaya Conservation Trust overseeing the design review process, security, landscaping, and maintenance, as well as the implementation and management of the operational management plan. These entities will be run by Tongaat Hulett Developments for the full duration of the development period, after which residents will take over their management.